Former ICICLE WORKS mainman IAN McNABB has created some of his best music since the band split up in 1991. While the Liverpudlian trio were one of the best and most versatile bands of the '80s, they are best remembered for their self-titled debut that featured the UK hit "Love Is A Wonderful Colour" and the glorious "Birds Fly (Whisper To A Scream)". While other lesser bands achieved fame and fortune, McNabb and bandmates Chris Layhe and Chris Sharrock recorded some amazing albums and singles, all of which have been reissued in expanded form over the last few years. Finally, Ian's solo catalog is getting the attention it deserves, beginning with his best-selling 1994 album Head Like A Rock, which earned a prestigious Mercury Prize nomination (although I believe M People won that year). On his 1996 album Merseybeast, McNabb penned a track called "I'm A Genius" and, to be honest, that's not far from the truth! Wearing his influences on his sleeve, McNabb has been able to channel The Beatles, T.Rex and Neil Young (amongst others) into a piping hot brew of intelligent Rock 'n' Roll without forsaking his own musical identity. He's a master songwriter, guitarist and vocalist, filled with passion and intelligence that is seldom heard in music these days. Whether he releases an acoustic-based album or a full out rockin' record, McNabb is one of the UK's finest songwriters and performers. He brings more confidence and swagger to his performances than Johnny Depp as Captain Jack Sparrow! With Head Like A Rock, Ian not only released the best Rock album that Neil Young never recorded, but he did it with the help of two members of Young's part-time backing band Crazy Horse (bassist Billy Talbot and drummer Ralph Mollina). 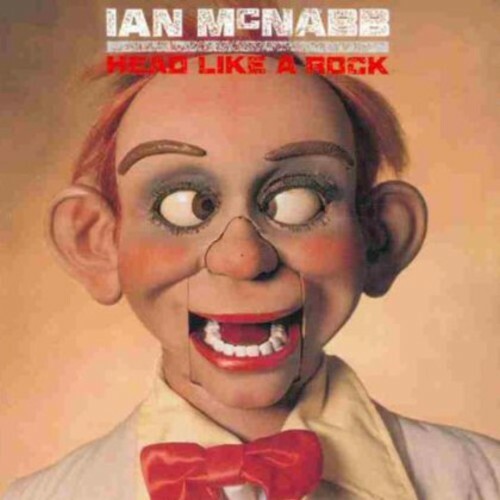 But the album is not a Neil Young pastiche: it is a loud and thunderous musical statement from Ian McNabb. From the stunning opener, "Fire Inside My Soul" (which, at 8+ minutes is still too short) to the beautiful Gospel-tinged album closer "May You Always", Head Like A Rock is a flawless album that not only beats you senseless in it's guitar-fueled power, it also reaches deep down and wraps itself around your heart and soul. "You Must Be Prepared To Dream" is a true Rock 'n' Roll anthem for this generation. While McNabb may not approve, I'm surprised that it hasn't been used to help sell cars or other necessary 'evils' in this world. The lyrics are as inspiring as anything McNabb may have been influenced by: "You're going where the sun beats down/On previously barren ground/You're going where the blue sky meets the ocean/You're going to a special place/It's written all over your face/But you must be prepared to dream". If it won't motivate someone to buy a car, perhaps it will inspire them to follow their...er...dreams. "This Time Is Forever" is a beautiful slice of Country Rock. "Sad Strange Solitary Catholic Mystic" is built around gorgeous, atmospheric Beach Boys-like harmonies. "Go Into The Light" is as funky and soulful as Rock can get. Oh, I could go on and on... this is one hell of an album. The bonus CD contains an additional nine b-sides including three rearranged Icicle Works tunes that are mostly acoustic and far more intimate than the original recordings ("Love Is A Wonderful Colour", 'When It All Comes Down" and "Stood Before St. Peter"). The remaining six tracks include non-album rockers, an acoustic track and a remix. All of them are worthwhile and only add to the glory that is Head Like A Rock. My only complaint would be that they didn't include the shorter edit of "You Must Be Prepared To Dream" but that is about the extent of my moaning! So, now you know the truth, why aren't you heading down to your local shop to buy this.... or clicking THIS link that I've so kindly provided? 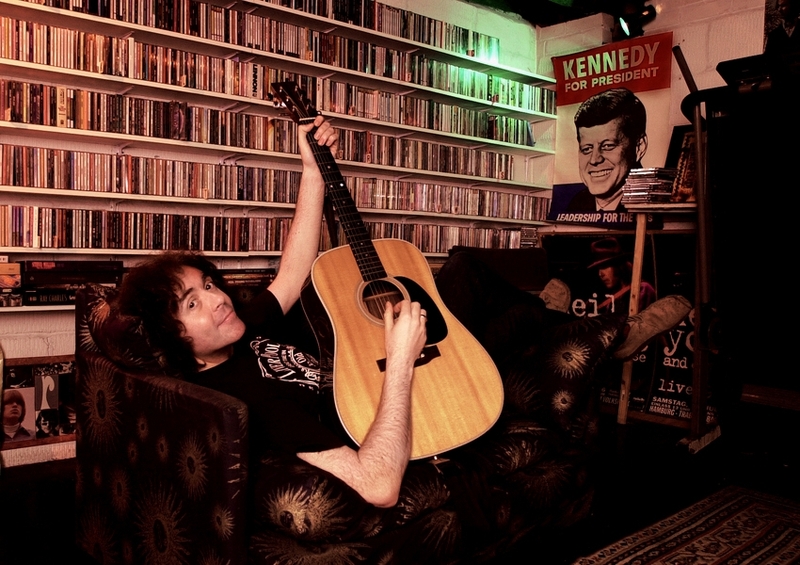 Oh, and visit Ian at www.ianmcnabb.com and purchase his last few albums as well. He's a genius. There, I said it.